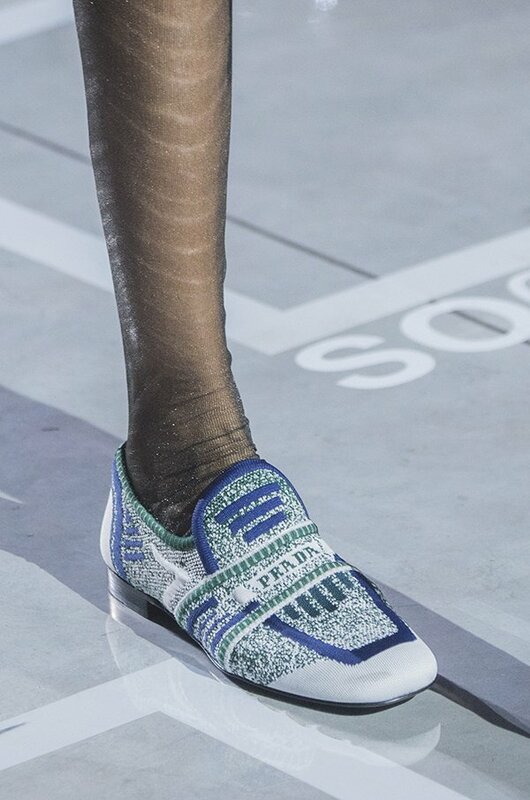 Prada shoes spring 2019 are about youthful looks. 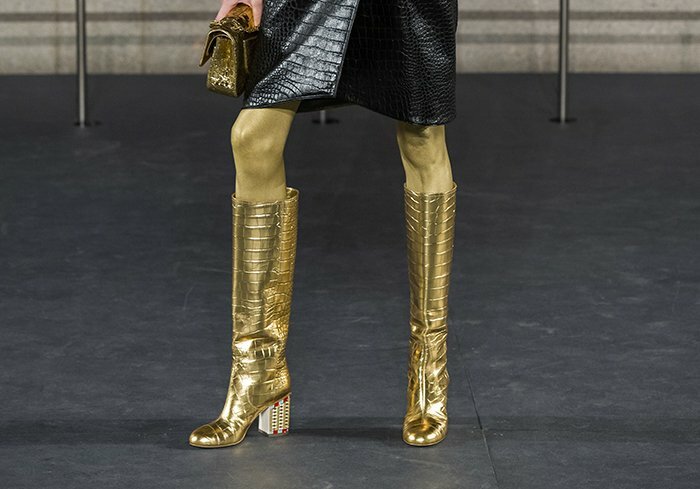 The designer combined classic styles with some quirky elements for refreshing new approach. 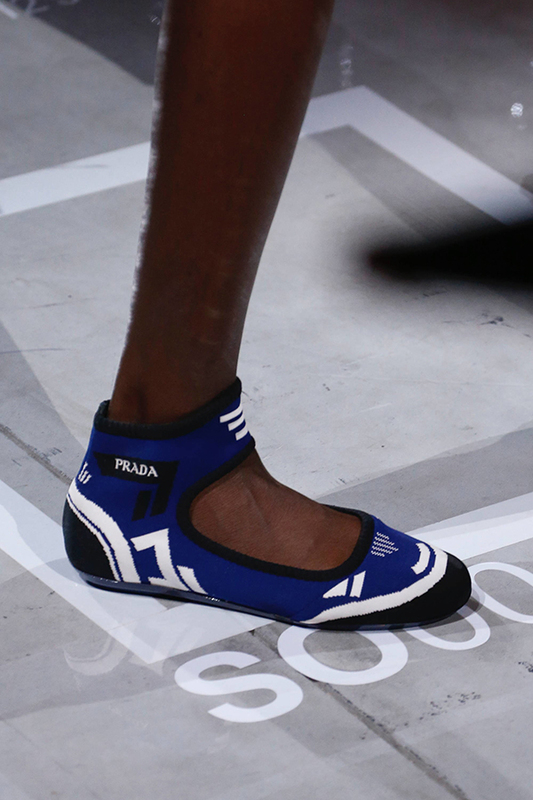 Prada did a trend surfing with their typical shoe designs for spring. 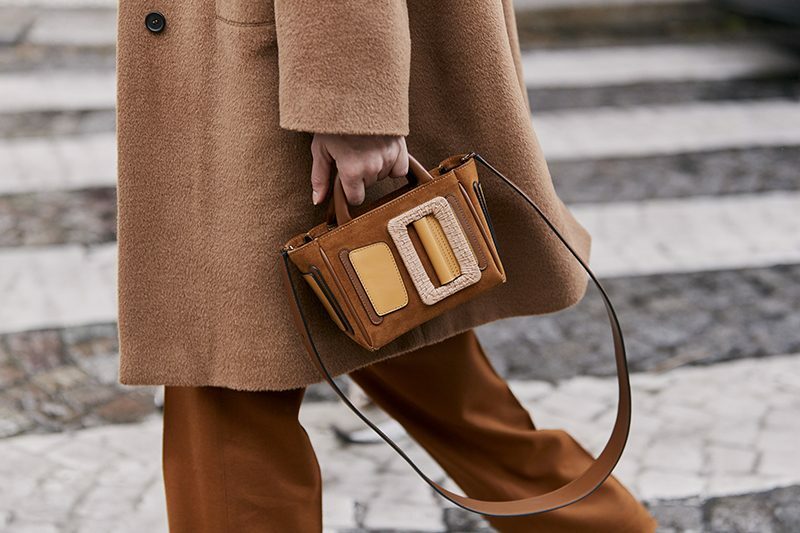 The simple classic silhouette of loafers, Mary-Jane are updated with cheerful pastel colors, odd sculptural heels or athleisure vibe. 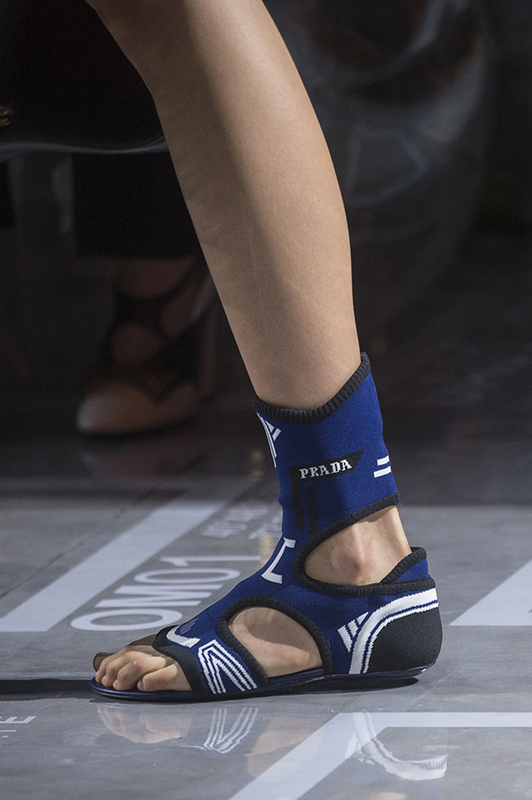 With spring 2019 collection, Prada confirms these shoe trends are in full swing. 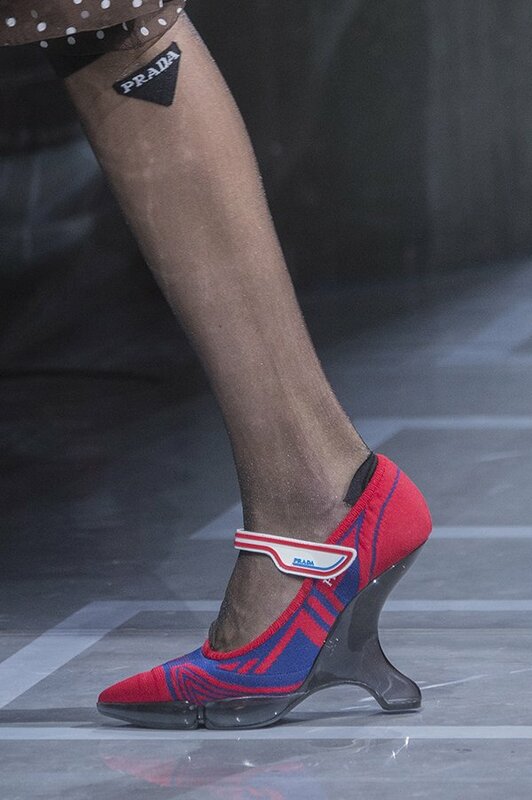 Sculptural heels are in trend for several seasons already. But there is no signs of slowing down. 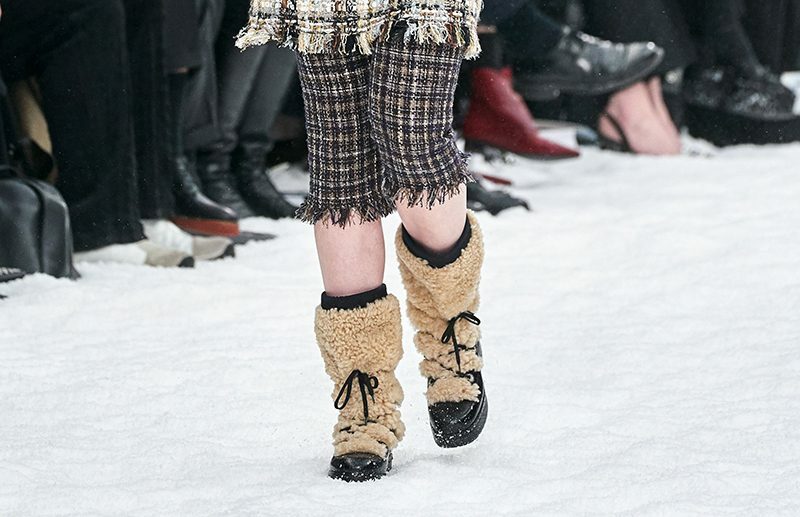 From egg shape to cut out blocks, the fashion designers have explored so many possibilities. 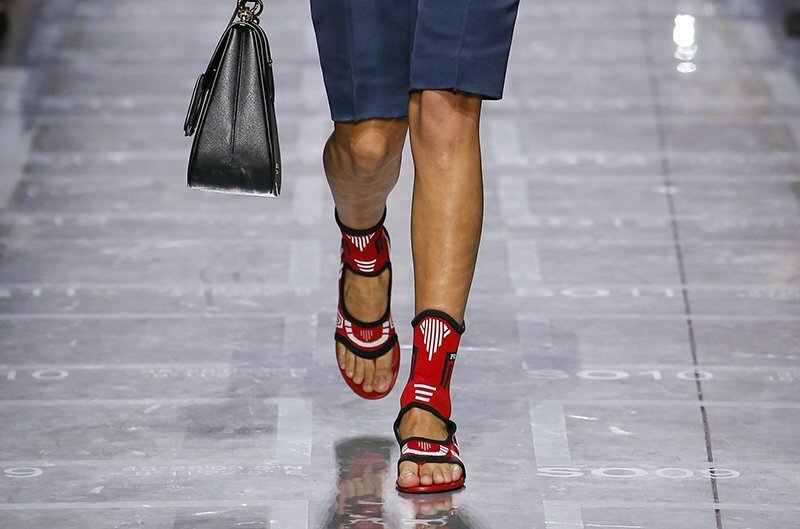 For Prada, it’s about a sculptured wedge while modernized with bright colors or plastic finish. 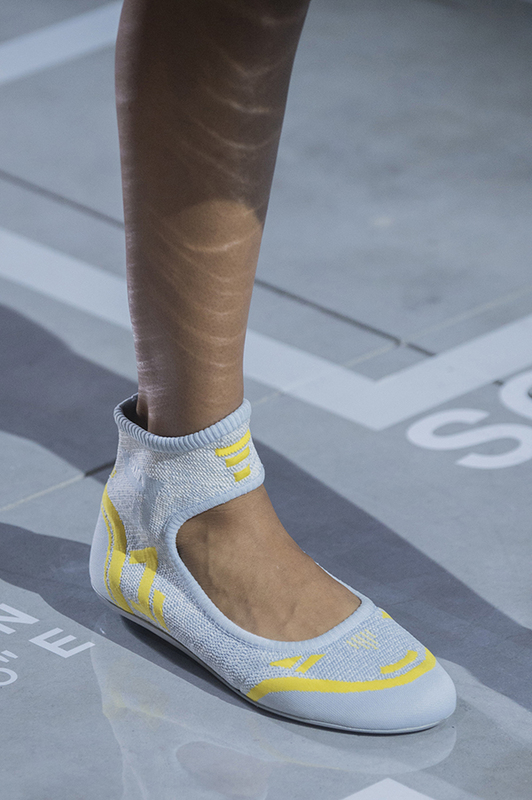 Athleisure trend has been dominating fashion for a while. 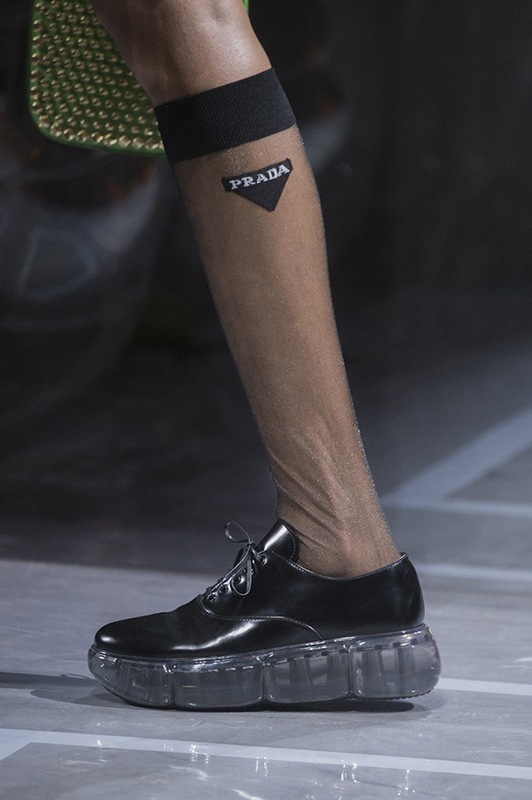 From logo, color palettes to knitted patterns, Prada smartly added sporty touches to the shoe designs without being overwhelming. Pastel colors for spring are not really “groundbreaking”. But the delightful hues are cheerful and eye-catching. 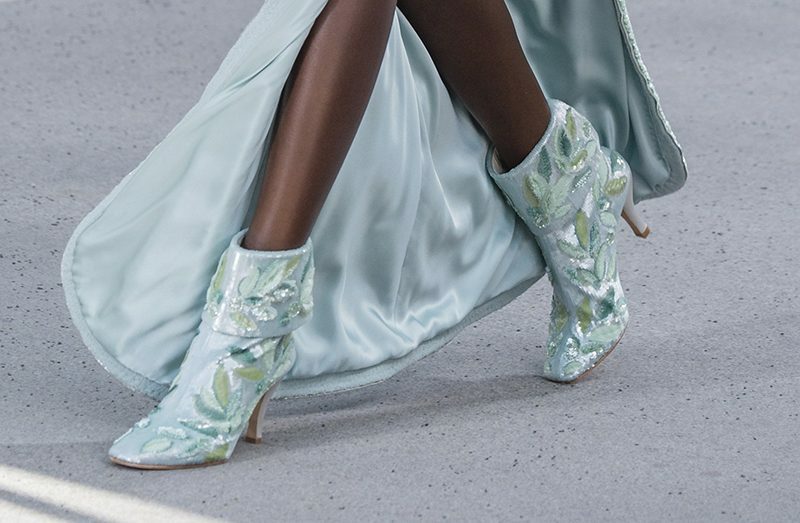 Pale blue, light pink or grass green, the fresh takes on the colors delivered an interesting look. 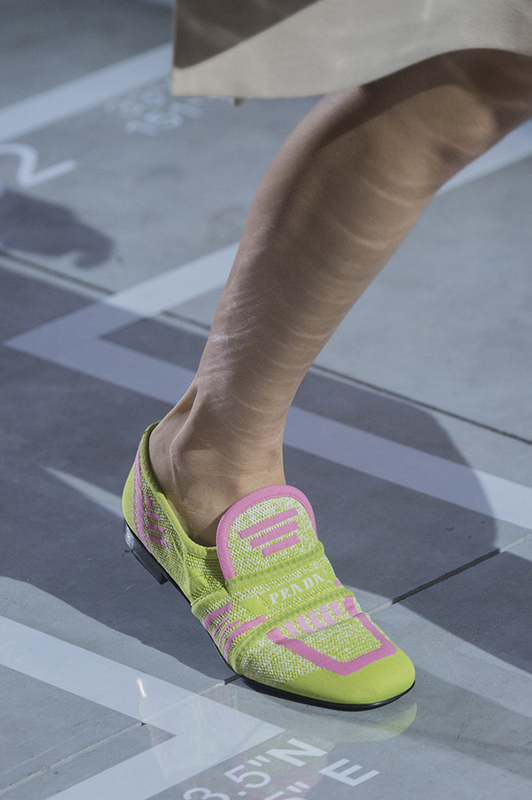 If you are looking for a low key way to work pastel color into your fashion closet, consider to dip your toes into them as Prada just showed. 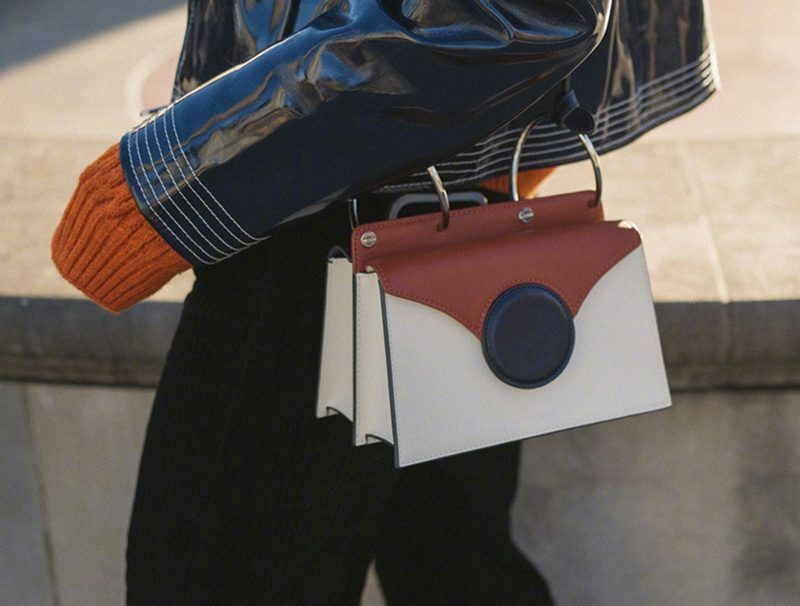 For summer 2018, it’s hard to ignore the PVC accessories everywhere from runway to the streets. 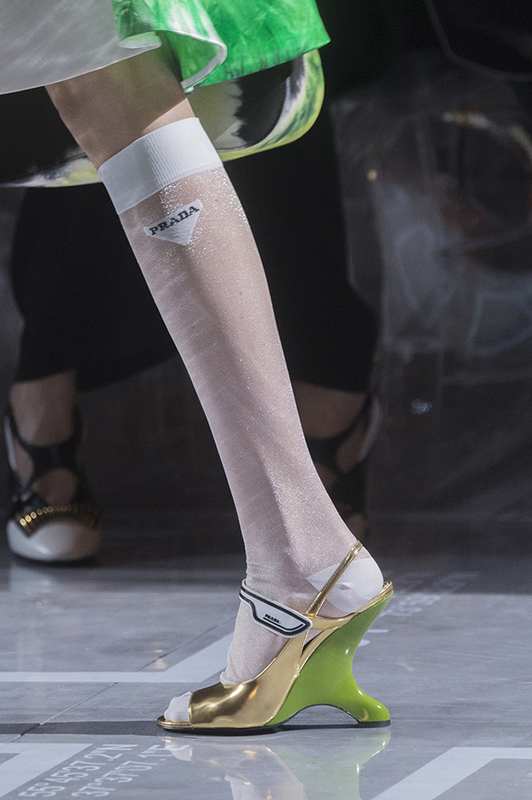 Prada took it into spring 2019 collection but kept them at the ground level. 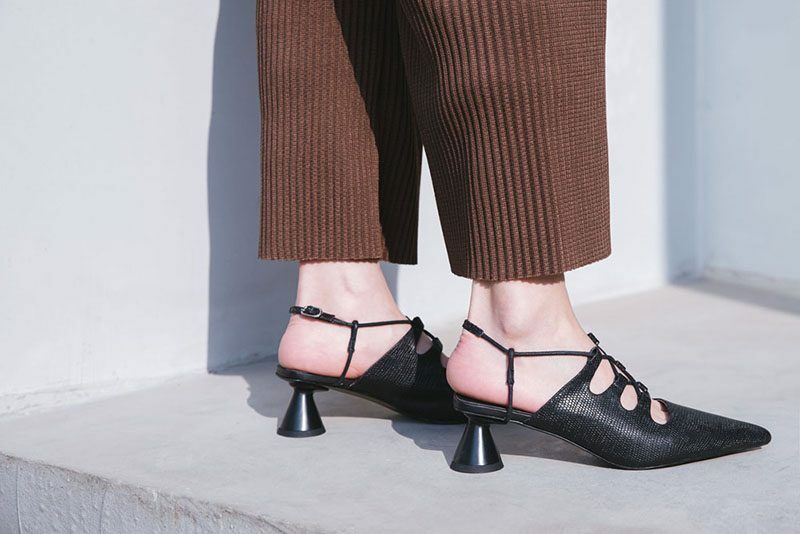 The Lucite heels and flatforms looked futuristic in grayish finish. 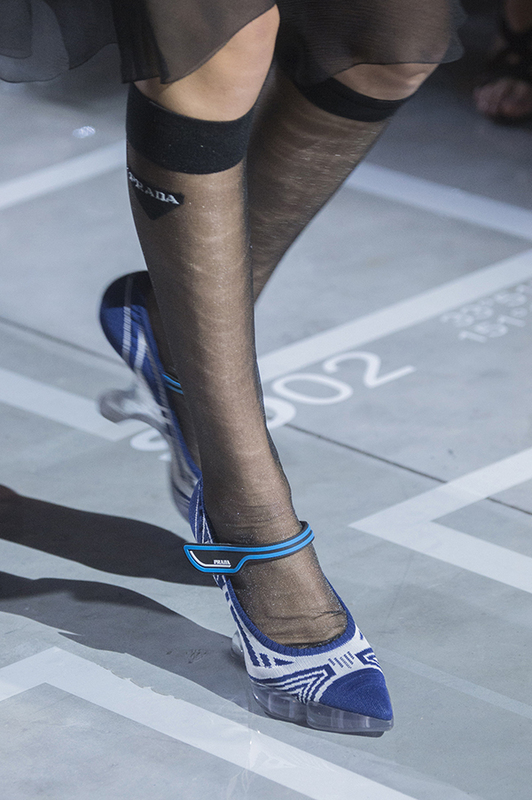 The thin platforms added more sporty touch to the total design.